I managed to walk down 1st Avenue from Pike Place Market to Pioneer Square today, before the rain caught up with me and I had to call it quits. 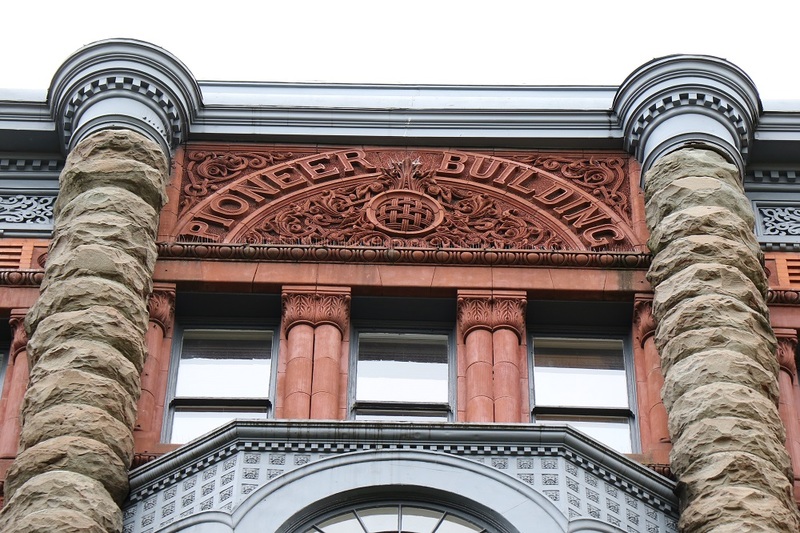 I took a few pictures of the Pioneer Building. 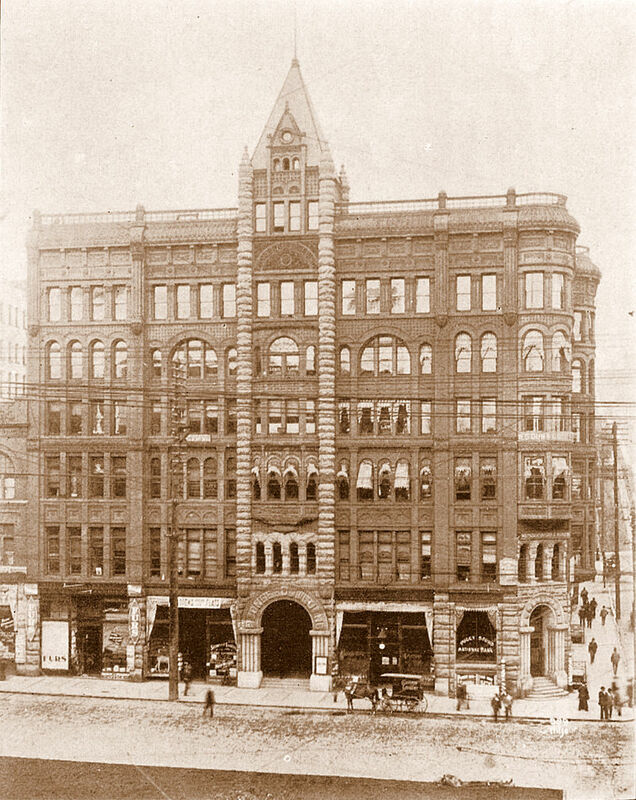 For awhile, it was the tallest building in Seattle and Washington state – from 1892 to 1904. In December 2015, the building was purchased by workspace provider Level Office. They renovated the building’s interior to create private offices and co-working space for small businesses. 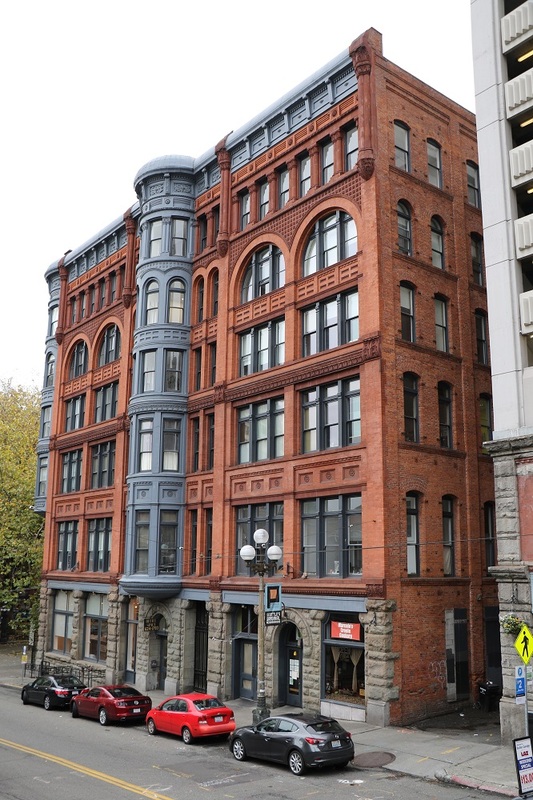 (Picture & Text From Wikipedia] The Pioneer Building is a Richardsonian Romanesque stone, red brick, terra cotta, and cast iron building located on the northeast corner of First Avenue and James Street, in Seattle’s Pioneer Square District. 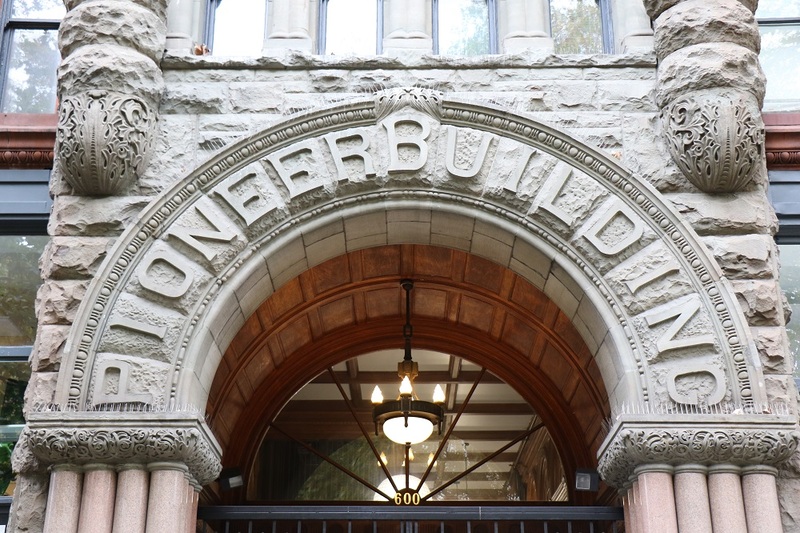 Completed in 1892, the Pioneer Building was designed by architect Elmer Fisher, who designed several of the historic district’s new buildings following the Great Seattle Fire of 1889. 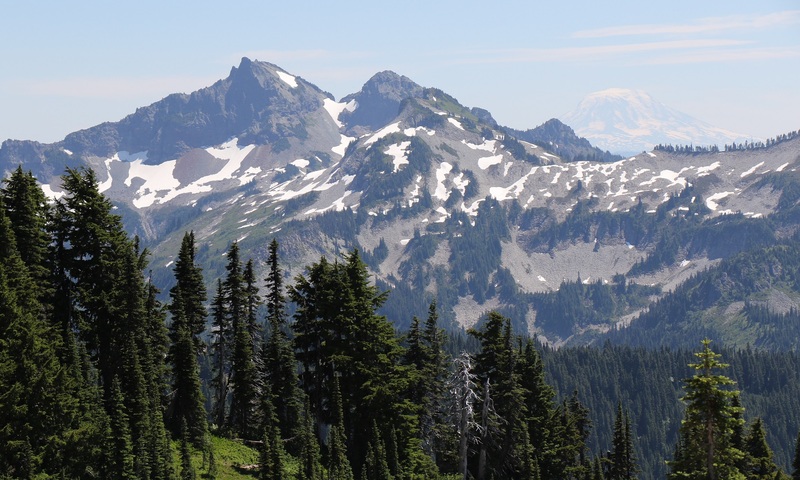 During the Klondike Gold Rush, in 1897, there were 48 different mining companies that had offices there. The Pioneer building’s south side, today. It is difficult to get a picture of the whole front facade (tall trees, other buildings). The original pyramid tower from the first picture is gone now. Intricate stone detail in the top panel with the building name. And here is the stonework arch on the main entrance.